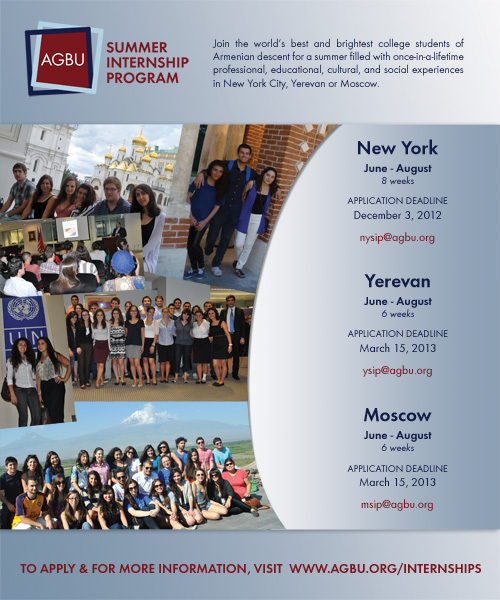 AGBU is now accepting applications for its 2013 Summer Internship Program, putting the amazing opportunity to live and work in the world’s most exciting cities within reach for Armenian college students. No matter what city they’re in, AGBU interns are always among their diasporan peers, who quickly become lifelong friends. They’re also positioning themselves for careers – in recent years, AGBU proudly congratulated many interns who were offered jobs at their host institutions. Wherever their internships take them, every student leaves the program with the resources, skills, and strong resumes they need to succeed. For more information on the AGBU Summer Internship Program, please visit: http://agbu-internship.org/ or call (212) 319-6383. The competitive selective process is already underway. All interested students are urged to apply now. Scholarships are awarded based on need and academic merit. Application deadlines and contact information for each program are listed in the ad here. There are countless texts that chronicle Armenia’s history, but there are few professors who can provide a comprehensive account of the Armenian people – from antiquity to today – in a mere two hours. 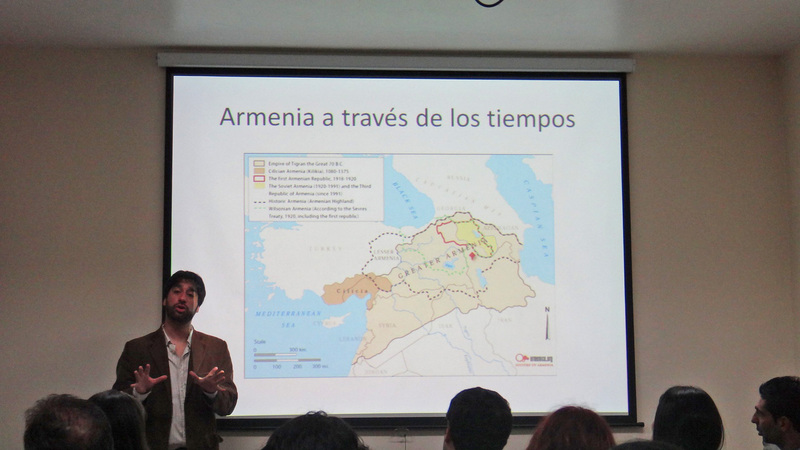 Juan Pablo Artinian, a member of the AGBU Young Professionals of Buenos Aires (YP Buenos Aires) and a recent guest speaker at the group’s History & Culture of Armenia Lecture Series, is one of them. 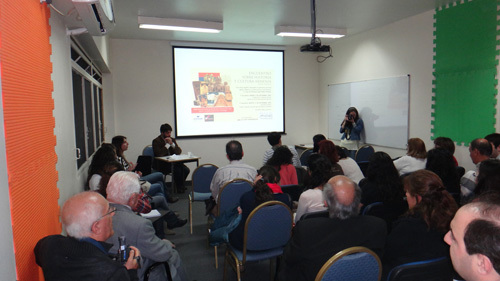 On both Friday, September 7 and Tuesday, September 11, 2012, Artinian, a PhD candidate at the State University of New York, Stony Brook, gave back-to-back presentations at the AGBU Alex Manoogian Center in Buenos Aires. Each of the interactive talks drew a crowd of over 40 – “students” of various ages who arrived sharing the same basic knowledge of Armenian history and left well-versed in the field. Each gained a sharper understanding of a range of topics including the early Armenian Kingdoms, the Armenians of the Ottoman Empire, the Armenian Genocide and legal efforts to recognize it. With a focus on the emergence of the Armenian diaspora and ways they are shaping a bright future for Armenians around the world, the attendees not only learned about history, but how they’re helping to make it. To learn more about YP Buenos Aires, visit their website or email info@ypbuenosaires.com.ar. 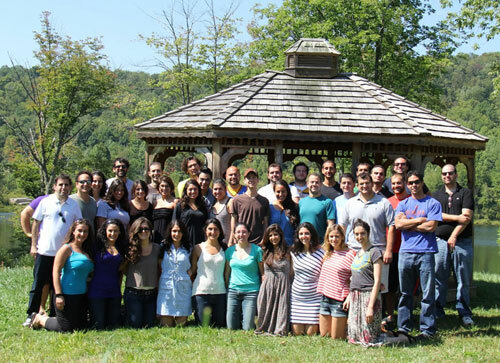 Young professionals from across the US and Canada proved that they were never too old for camp during the 7th annual AGBU City Escape weekend that took place at the end of August. 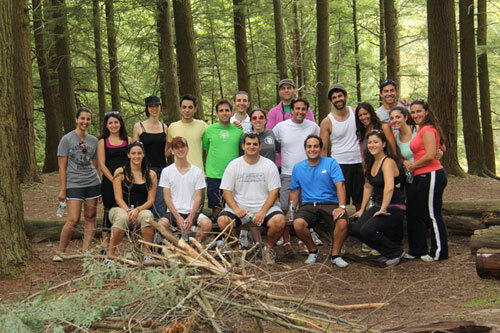 The event, which was initiated in 2006 by the AGBU Young Professionals of Greater New York (YPGNY), was co-hosted this year with the AGBU Young Professionals (YP) groups of Montreal and Philadelphia, and gathered over 40 participants at Camp Nubar for a weekend full of outdoor activities, surrounded by the natural beauty of the Catskill Mountains. Read this press release for more details on the fun-filled retreat. 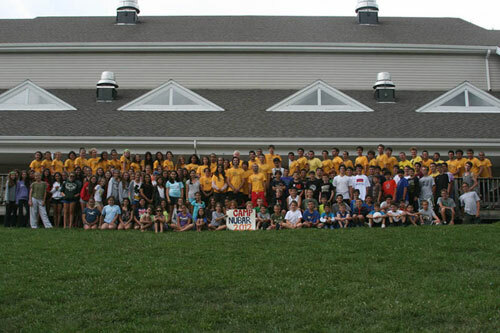 Another unforgettable summer has come to an end at Camp Nubar, but the festivities are just beginning for camp’s milestone 50th anniversary. This year, Camp Nubar welcomed over 240 campers – one of the highest number of enrollees in years – from Armenia, Canada, France, Germany and Turkey, plus 14 US states. As in years past, campers spent their days engaging in arts and crafts, fishing, hiking, horseback riding and music, as well as swimming in the private lake. They also enjoyed some new activities, including a basketball class and a hockey league that helped young athletes enhance their game. Though campers were sad to board the buses home, they can look forward to a year full of celebrations to honor Camp Nubar’s 50th birthday. The new anniversary website has details on upcoming events, including the anniversary celebration, which will take place on Friday, July 26, 2013, in New York City. Tickets are currently on sale – book now to take advantage of a special pre-sale price. Over 50 youth ages seven to 14 from the Bulgarian towns of Haskovo, Plovdiv, Russe, Sofia and Yambol journeyed to the scenic mountains atop the Byalo Kamane resort just a few days ago to enjoy a week of summer fun during the very first session of AGBU Camp Hay Ler. Not wasting a moment of sunshine, the children have already gone swimming and horseback riding, made arts and crafts projects, and began learning Armenian dances. Check out their blog for all the latest updates: http://haylercamp.wordpress.com/. 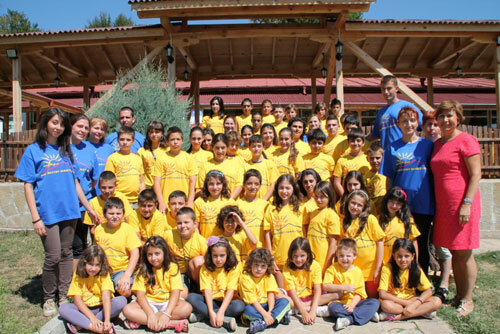 Congratulations to our AGBU chapters in Bulgaria on this joint initiative! Armenian youth from all over Europe are also welcome to inquire about registering for next summer. Email youth@agbu.org for more information.